Gabrielle “Coco” Chanel (born: August 19, 1883 died: January 10, 1971) was a French fashion designer who drastically changed the dress design style of what women had been previously wearing for a century. When Chanel began her first business designing fashionable hats, women had been wearing long dresses, stiffly corseted and made in heavy materials. Then, when Chanel could not find stylish and comfortable clothing to fit her own needs, she started her own fashion line which featured innovative designs of loose fitting dresses made in easy care fabric. Her clothing line proved to be an enormous success and her designs set many of the trends that women are still wearing. Chanel also expanded her fashion line to include accessories, such as jewelry, handbags and fragrance Chanel No. 5 still remains one of the bestselling perfumes of all times. 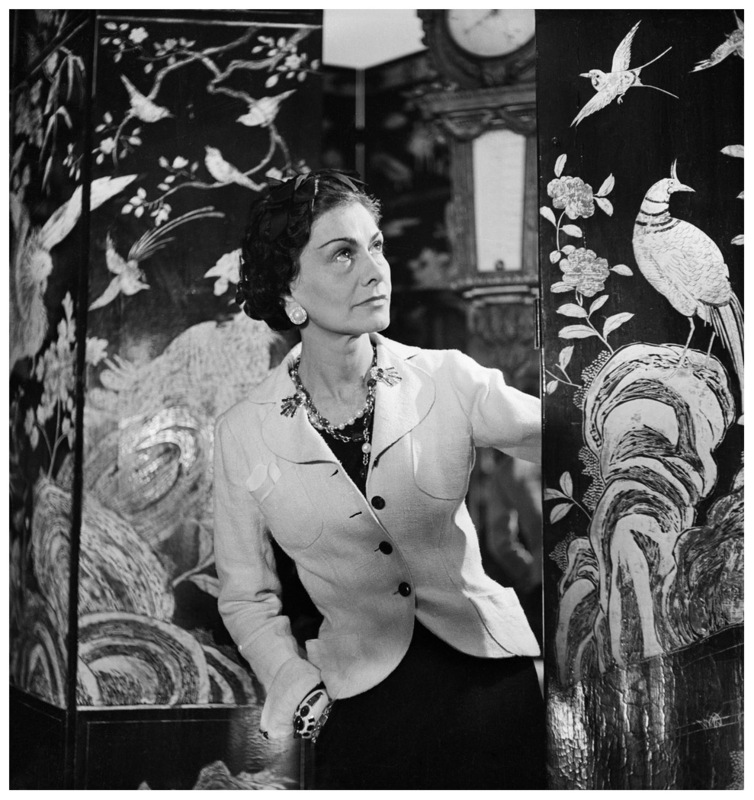 In Part One of the two part series on Coco Chanel I will discuss her personal and professional life. In Part Two I will discuss some of Chanel’s contributions to the world of fashion. 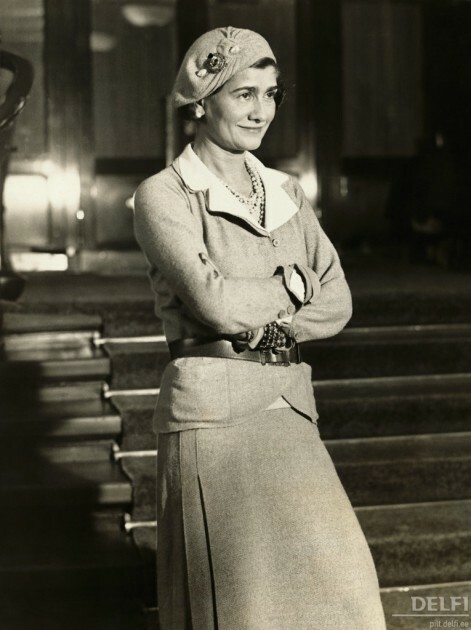 Gabrielle “Coco” Chanel had an improvised childhood, her mother was Eugenie “Jeanne” DeVolle who was a laundrywoman and her father was Albert Chanel a traveling salesman who was frequently absent. Sadly, when Gabrielle was only 11 years old her mother died of bronchitis. With her father constantly away from home, the decision was made to send her brothers to work as farm laborers and Gabrielle and her two sisters were sent to a convent. Aubazine, located in central France, was run by the nuns of the Sacred Heart of Mary as a home for abandoned or orphaned girls. Life at Aubazine was harsh and when Gabrielle turned 18 years old, she went to live in a Catholic girls boarding home in the small town of Moulins. During her years at the convent, the nuns had taught Gabrielle how to sew and she soon found work as a seamstress at a small store in Moulins. To earn more money, Gabrielle often sang at the local cabaret which was frequented by French cavalry officers. It has been said that the beautiful and flirtatious Gabrielle received the name “Coco” from the officers because one of the most popular songs she sang was “Ko Ko Ri Ko” or another more scandalous possibility was that the name was a reference to cocotte, the French word for a prostitute. In 1906, Chanel had moved to the small resort town of Vichy to seek work as a stage performer but she failed at finding employment as a singer. Eventually, she was able to find work in a small shop dispensing glasses of mineral water for the tourists, Vichy was known as a spa town and the water there was said to have curative powers. Unfortunately the work at Vichy was only seasonal and Chanel soon moved back to Moulins. Soon after returning to Moulins, Chanel met a former cavalry officer and wealthy heir to a textile fortune named Etienne Balsan. By the age of twenty-three Chanel had become his mistress and she moved into his chateau, Royallieu, located in Compiegne. 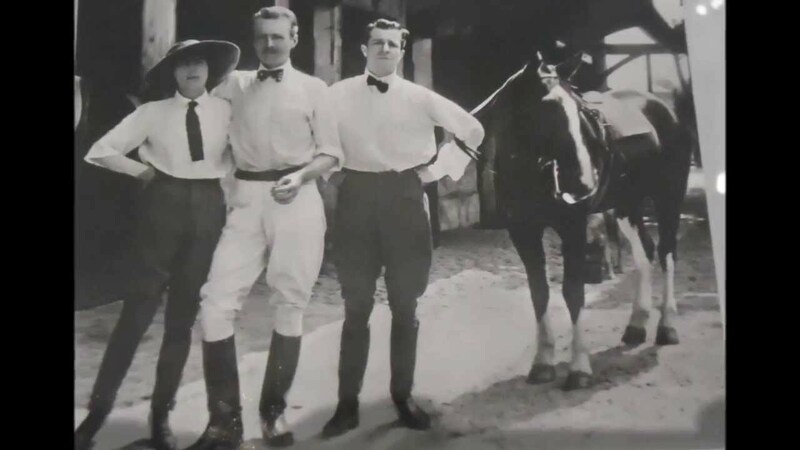 Chanel’s lifestyle improved immensely and she was soon living a leisurely and lavish life with days spent in equestrian pursuits and nights socializing with Balsan and his friends. 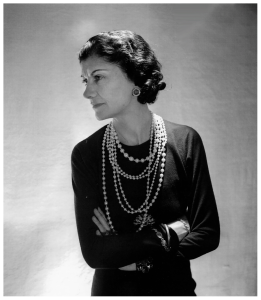 Balsan indulged Chanel’s every whim and showered her with gifts of beautiful dresses and jewelry. But Chanel had many hours of idle time and she was looking for a diversion to fill the hours of the day. So, she began making her own hats mostly because she could not find the styles that she preferred. Some of the women that came to Royallieu liked her hats and requested that Chanel make ones for them. In 1908, while Chanel was living at Royallieu, she met the man that would become the “love of her life”. Captain Arthur “Boy” Capel was an English aristocrat and he was a close friend of Balsan. By 1908, Chanel and Capel had fallen deeply in love and Chanel had left Balsan and she moved to Paris staying in an apartment paid for by Capel. Capel also financed Chanel’s first venture into the fashion industry. After Chanel arrived in Paris she wanted to earn her own money which she felt would give her more independence. 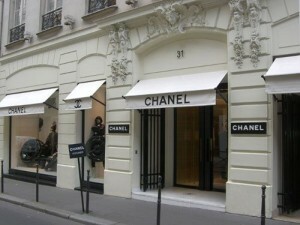 In 1910, she decided to start a milliner business and she opened up a small store, Chanel Modes, located at 21 rue Cambon. 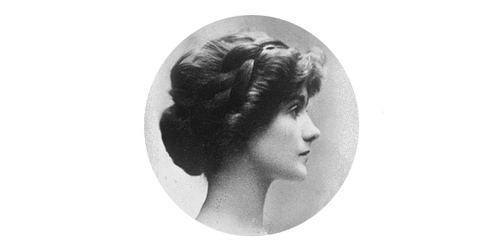 Initially she sold to the upper class acquaintances that she met through Balsan and Capel but her business grew when a French actress named Gabrielle Dorziat wore one of Chanel’s hats in a play and it caught the attention of the fashionable women in Paris. 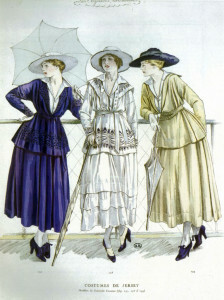 This led to Dorziat wearing several of Chanel’s hats in a French fashion magazine, Les Modes, in 1912. The ladies of Paris all wanted a Chanel hat. 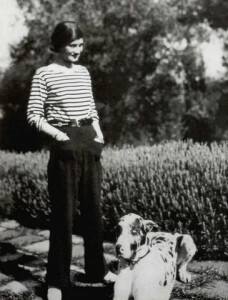 Then, while on a vacation with Capel to Deauville, Chanel once again came up with a fashion idea out of the necessity of not finding any resort clothing that met her style. She borrowed clothing from Capel, such as a striped shirt, a knit sweater, a pair of comfortable pants and she even wore a mariniere, a shirt usually worn by sailors. Chanel caused a sensation wearing these outfits and immediately found a need for women visiting the resort who also wanted comfortable clothing. Chanel soon developed a line of loose fitting dresses made in an unusual light-weight jersey fabric. Capel, aware of another good business opportunity, decided to finance a store for Chanel located in Deauville where she would be able to easily sell her new fashion line. She recruited her two sisters, Antoinette and Adrienne, to wear her dress designs on promenades down the boardwalk and around the town to advertise. Business was so good that Chanel opened a second store location in Barritz, which opened in 1915, it also proved to be very successful and Chanel was able to pay back the loan from Capel. Despite the fact that Chanel and Capel were very much in love, their affair ended in 1918 when Capel was obligated to marry an English women, Lady Diana Wyndham. After being together for almost ten years, Chanel was heartbroken and then totally devastated when a year later Capel died in a tragic car accident. After the death of Capel, Chanel dedicated herself to her new clothing business concentrating on new designs and marketing to increase sales. After a period of mourning, Chanel also moved forward with her personal life and she briefly became romantically involved with the Grand Duke Dmitri Pavlovich, the cousin of Nicolas II who was the last czar of Russia. After their relationship ended, Chanel and the Grand Duke were still able to maintain their friendship which lasted throughout the years. In 1919, Chanel’s fashion business had become so profitable that she was able to buy the entire building at 31 rue Camdon, the site was not very far from her previous location in Paris. After the building renovations were completed she opened the doors of the beautiful new store and it set the standard for future fashion stores where not only dresses but an extended variety of accessories could be sold. In 1920, Chanel met the composer, Igor Stravinsky, who was working with the Ballets Russes in Paris. When Stravinsky needed a place for his family to stay, Chanel let them stay at a property she owned in a suburb of Paris. 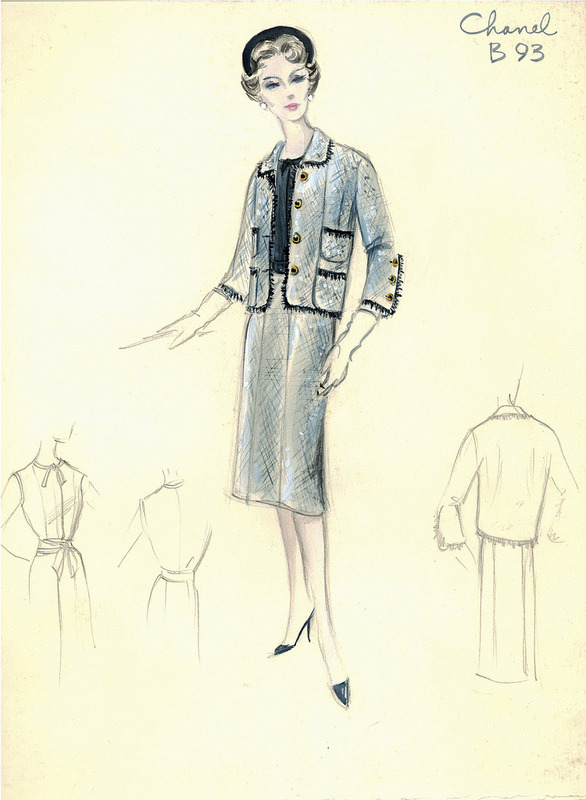 During that time Chanel took on a commission for Stravinsky to design the costumes for the Ballet Russes production of “The Rite of Spring” as a personal favor but in the end when the project had been completed Chanel had taken a huge financial loss. The first real relationship that Chanel entered into after the death of Capel was with the French poet, Pierre Reverdy. Chanel and Reverdy were together from 1921 to 1926 and afterwards they went their separate way they were still able to maintain a forty year friendship. Reverdy became a great mentor for her and he is largely credited for writing many of Chanel’s published statements. Chanel continued to find professional fulfillment in her fashion designs but throughout the years was still constantly looking for ways to expand her business. 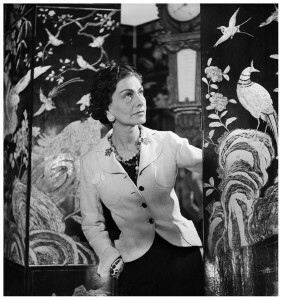 In 1922 she was introduced to Pierre Wertheimer, the director of the Bourgeois perfume and cosmetics company through her connections to Theophile Bader. Chanel worked with Ernest Beaux, a Russian-French perfumer to create the chemical formula for a special fragrance. At that time upper class women wore traditional perfumes made from the pure essence of a single flower while ladies of the lower class wore more sensual perfumes made from animal musk. Chanel No. 5, which was sold exclusively in the Chanel stores, was a combination of the two different scents perfectly blended for the new modern women of the 1920s. After entering into the agreement with Wertheimer and Bader, a separate company was created called Parfums Chanel. The arrangement was that Wertheimer would receive seventy percent, Bader would receive twenty percent and Chanel would have the remaining ten percent but she would have no involvement in the actual running of the business. Years later, Chanel realized her error in being “tricked” into such a low percent of the company when the profits of the sale of the perfume reached nine million dollars annually. She was also concerned that the original formula for Chanel No. 5 had been altered and was being produced inexpensively with inferior ingredients to meet the high consumer demands. It would take twenty years of legal battles to finally reach a settlement and a new arrangement was agreed upon paying Chanel retroactive outstanding profits not paid to her and also increasing her percentage of the future profits, her earnings from Chanel No. 5 sales would be almost twenty-five million dollars annually. In the mid-1920s, Chanel was introduced to Hugh Grosvenor, the Duke of Westminster while on a trip to Monte Carlo. This would be her opportunity to enter into the privilege world of the British nobility moving in the same circles as Winston Churchill and Edward, the Prince of Wales. Chanel and the Duke quickly became romantically involved and he set her up in an apartment in the prestigious area of London known as Mayfair. The Duke lavished Chanel with extravagant jewels and expensive gifts and paintings. In 1927, the Duke gave Chanel the deed to land that he had purchased on the French Riviera. A charming villa was built on the property and she named it La Pausa which translated as “restful pause”. When planning her new home Chanel had included the architect included features inspired by Aubazine, the convent where she spent her childhood. The love affair of Chanel and the Duke lasted ten years and during that time the Duke introduced her to Edward, the Prince of Wales. The Prince and Chanel enjoyed a brief flirtation but he was destined for another romance that would eventually cost him the throne of England. In 1931 Chanel met Samuel Goldwyn, the famous Hollywood movie studio owner, through an introduction by her longtime friend, the Grand Duke Pavlovich. Goldwyn would eventually hire Chanel to design costumes for MGM. She traveled twice a year to Hollywood but, despite the fact that she was paid an exorbitant salary, she disliked the work and her fashion designs did not translate well on the movie screen. 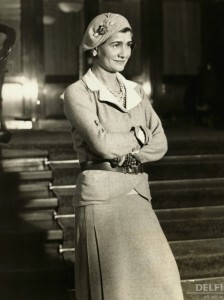 Chanel went on to design costumes for several French films but these projects were temporary work and her fashion design business remained her major focus. On a personal level, Chanel had associated herself with a group of elite members of the Parisian art world; one of those was her good friend Misia Sert. It was said that this bohemian group was known to be right-wing politics and they were also known to be sexually provocative and emotionally unstable probably fueled by their drug addictions. French illustrator, Paul Iribe, was one of the members of this group and Chanel and Paul soon became romantically involved. The couple was together from 1931 until Iribe’s death in 1935. During that time Chanel collaborated with Iribe on designs for a jewelry collection featuring diamond set in platinum which was commissioned by the Guild of International Diamond Merchants, the exhibition of the jewelry drew large crowds. 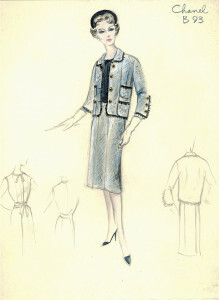 Chanel was to become Iribe’s muse and her image appeared in several of his published drawings throughout the years. By 1935, the House of Chanel had become a very prosperous business that employed four thousand people but a year later, everything changed with the onset of World War II, Chanel closed several of her stores and 3,000 employees were let go during the general labor strike. Even though Chanel retained her apartment above the store on 31 rue Camdon, during the German occupation of France, Chanel choose to live at the Hotel Ritz. Most citizens of Paris fled with the invasion of France by the Germans, so it seemed an unusual choice for Chanel to remain in the occupied city living at the Ritz where several German military officers had move into. Years later there has been some documentation that proves that Chanel was possibly working with the Germans as a Nazi spy during the war. 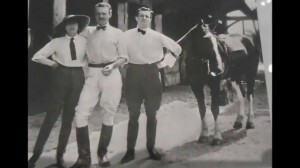 When charges were brought against Chanel it is said that Wintson Churchill intervened on her behalf and the charges were dropped without further inquiry. In 1945, after World War II had ended, Chanel moved to Switzerland where she stayed until 1954 but before returning to Paris, Chanel sold her French Riviera villa. With her personal life in order, Chanel decided to revive her professional career. The world of fashion had drastically changed and the industry was dominated by men, such as Christian Dior and Cristobal Balenciaga. But once again, Chanel thought that the 1940s style of padded shoulder jackets and tight waisted skirt and dresses were impractical and very restrictive for women to wear and she was inspired to design again. Oddly, Chanel’s new venture back into fashion and the reestablishment of the House of Chanel was financed by an old enemy, Pierre Wertheimer. In 1954, when Chanel’s new fashion line debuted there was very limited favorable response for most of Europe, this could possibly be attributed to the stories because of Chanel’s association with Nazis but it did not stop the British and American customers from favoring her collection. It was during this time that Chanel designed some of her most iconic fashions, such as the classic Chanel two piece day suits made in tweed and fully lined that is still very popular today. By 1971, Chanel had grown noticeably disagreeable and sometime hostile to her employees and was generally unhappy in her professional life. She also felt very lonely in her personal life and had been without a male companion for several years. 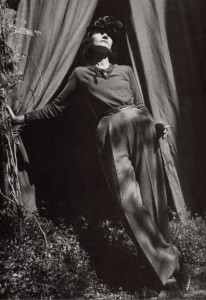 On the day before she died, she had been working on her Spring fashion collection and when she returned from a long drive she was feeling very ill. The next morning, January 9, 1971, she died of natural causes at the Hotel Ritz, she was 87 years old. 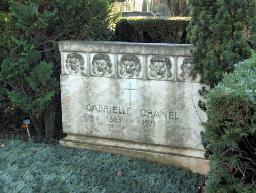 Coco Chanel is buried in the Bois de Vaux Cemetery in Lausanne, Switzerland. For more information a fun craft post including a list of supplies and instructions, please click on the link to Chanel-Inspired Shadowbox. This entry was posted in Miscellaneous and tagged 21 rue Cambon, 31 rue Camdon, Barbara Jones, Celebration, Chanel hat, Chanel No. 5, Chanel suit, Coco and Balsan, Coco and Capel, Coco Chanel (part one), Coco Chanel and Captain Arthur Capel, Coco Chanel and Etienne Balsan, Coco Chanel and Hugh Grosvenor, Coco Chanel and Igor Stravinsky, Coco Chanel and Nazi involvement, Coco Chanel and Paul Iribe, Coco Chanel and Pierre Reverdy, Coco Chanel and Pierre Wertheimer, Coco Chanel and the death of Capel, Coco Chanel and the Duke of Westminster, Coco Chanel at Aubazine, Coco Chanel at Deauville, Coco Chanel at Royallieu, Coco Chanel in Barritz, Coco Chanel in Hollywood, Coco Chanel in Moulins, Coco Chanel in Vichy, Coco Chanel vichand Grand Duke Dmitri Pavlo, Coco Chanel's fashion business, Coco Chanel's first store, Coco Chanel's first store in Paris, Coco Chanel's style, Enchanted Manor, Gabrielle Chanel, how did Coco Chanel get her name, The Enchanted Manor, the House of Chanel, the life of Coco Chanel, the personal life of Coco Chanel, the professional life of Coco Chanel, When was Coco Chanel born, where was Coco Chanel born by barbara. Bookmark the permalink. I'm sure you are wondering how the blog was named, "The Enchanted Manor". Well, this blog will be like home to me and I wanted a name that reflected my different interests. During a normal day you can find me in several rooms of the house. Maybe I'll be in the living room decorating, or in my craft room working on a project, or in the dining room planning a great dinner party or at the computer in my office planning a great vacation. When you come to visit my blog you might find me in any room! Please return often for ideas and inspiration because this blog will be about decor, craft, celebration and travel. So, welcome to the "Enchanted Manor". Come in, sit down and let's talk!